The southern province of Binh Phuoc has built geographical indications in five aspects for cashew development, said at a meeting held by the provincial People’s Committee and the Ministry of Science and Technology on May 22. 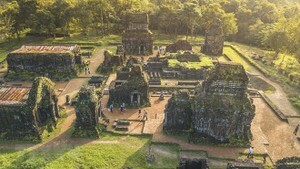 At the meeting, reports of geographical indications as a part of the project “Geographical indication development in Vietnam” supported by the French Development Agency (AFD)’s fund and carried out by the National Office of Intellectual Property. The project’s aim is to develop geographical indications (GIs) for local cashew products based on Europe’s geographic indication, ultimately raising the goods’ competitiveness in foreign markets. The activities included in the project will be based on theories and realities, selections of activities in foreign countries combined with policies, production structure and farm market in Vietnam. The newly-established geographic indication is suitable with what the province has done including trade promotion, building and promoting brand names of Vietnamese cashew, exploiting traditional markets, expanding new markets , boosting cashew consumption in the country. Most reports at the meeting focused on how to raise business and production efficiency for the country’s cashew generally and Binh Phuoc’s cashew particularly, push up geographic indication for Binh Phuoc cashew in the integration context and trade promotion strategies. 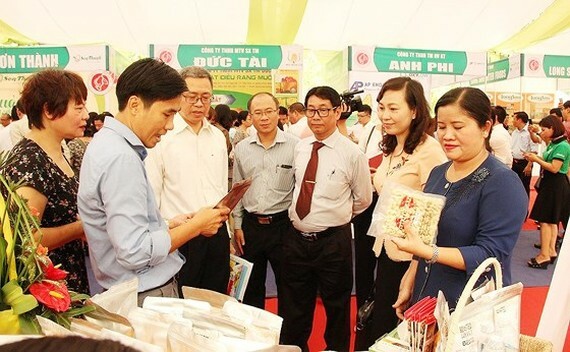 On the same day, a meeting was held to promote cashew product of Binh Phuoc with the participations of manufacturers and exporters in the Southeast Vietnam. The Ministry yesterday granted the Geographical indication registration certificate for the famous Binh Phuoc cashew nut to the provincial People’s Committee. The Geographical indication registration certificate will control origin, improve product quality and promote image of the agro-product in a bid to protect farmers’ benefit and improve value of Vietnamese cashew in the global market. The Ministry asked local authority to boot more activities of cashew association in the province and develop production chains to help the sector’s growth.